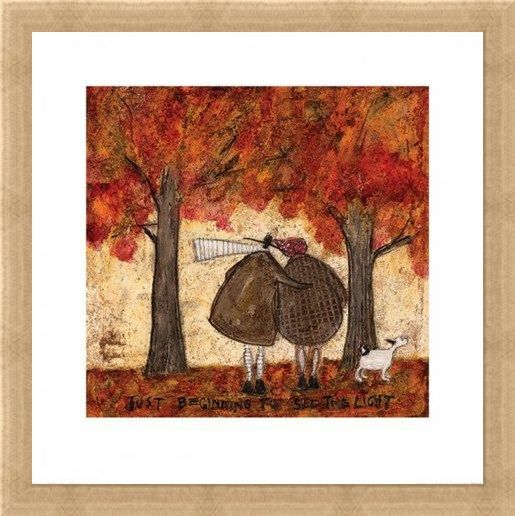 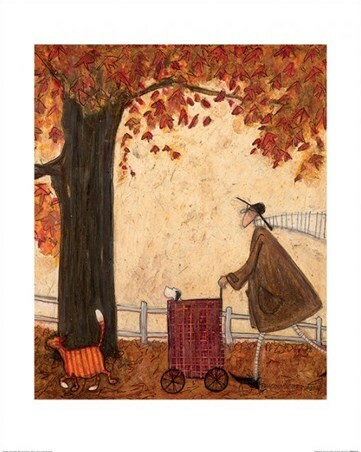 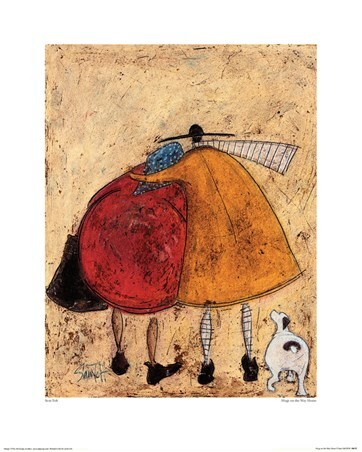 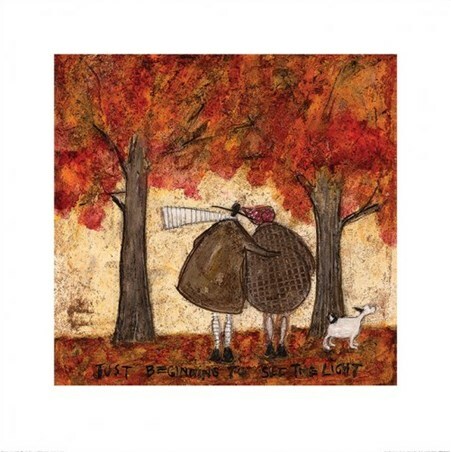 Art Print: British artist Sam Toft is able to produce some truly aesthetically pleasing pieces of art. 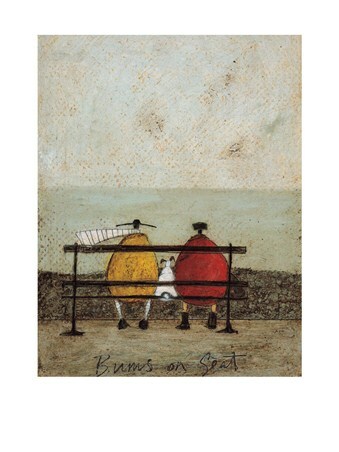 The simple subject matter adds to the sense of harmony and peace, which radiates out of this piece. The print depicts the loveable Mustards standing in a field, arm in arm, whilst Doris the dog stands to the side. The title, "Just beginning to see the light", is inscribed at the bottom, which is a beautiful ethos for this heart-warming depiction of real love. The warm Autumn colours of orange and red are sure to look fantastic in any surroundings and it an utter treat for the eyes. High quality, framed Just Beginning To See The Light, Sam Toft print with a bespoke frame by our custom framing service.